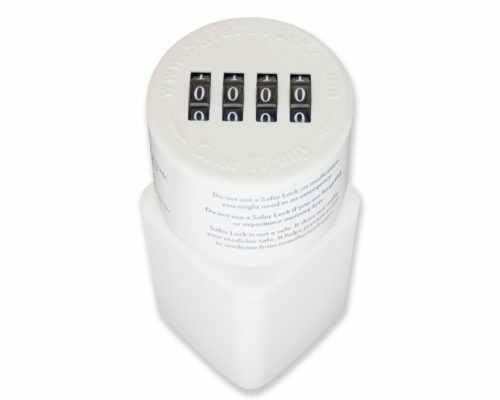 The Safer Lock cap secures your medications with a patented 4-digit combination cap. 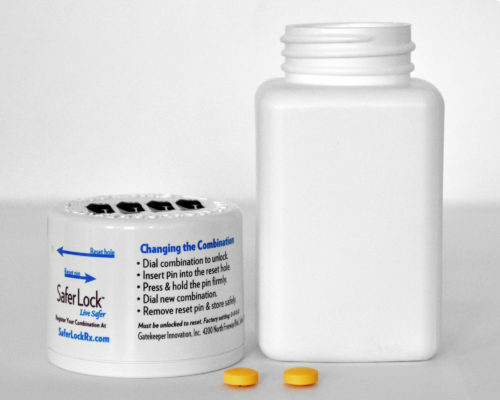 You choose the combination, set the lock, and rest easy knowing your medications are secure. 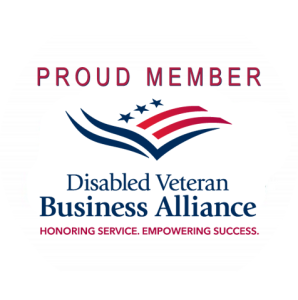 The Safer Lock cap gives you peace of mind. Never lose a key or worry about your children opening a child-proof cap. You can secure your medications away and out of the reach of curious fingers. 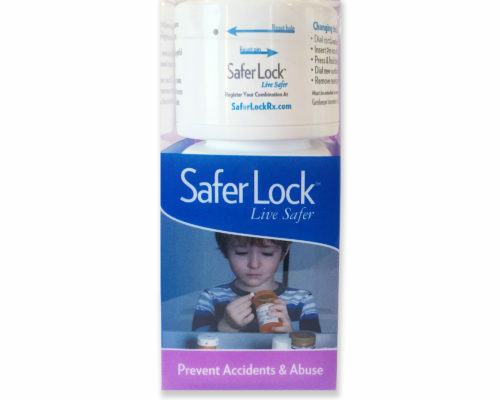 Safer Lock lets you prevent accidental poisonings and discourages prescription drug abuse.